There is limited research which examines health concerns of individuals with osteogenesis imperfecta (OI). Discussion groups with leaders of the adult OI community identified a broad range of medical priorities beyond fractures and brittle bones. Our work underscores the need to include patient-reported outcomes in rare bone disease research. Osteogenesis imperfecta (OI) is a rare genetic disorder affecting collagen protein leading to brittle bones and a number of other medical complications. To date, there is limited research which examines the life-long process of aging with this rare disease, much less the perspective of individuals with OI. In order to explore and prioritize health concerns that adults with OI feel have been inadequately addressed in health care and research, investigators held discussions with leaders from the global adult OI community. The meetings were held in August 2017 at the 13th International Conference on OI in Oslo, Norway as part of the preconference seminar “Patient Participation in OI Research”. Investigators were part of the Brittle Bone Disease Consortium (BBDC), a multicenter research program devoted to the study of OI, and their focus was on patient-reported outcomes (PRO). Participants noted that while fractures and brittle bones are the most common feature of OI, a number of body systems are under-studied in this disorder. They particularly emphasized breathing, hearing, and the effects of aging as primary concerns that researchers and physicians may not fully understand or address. Other areas included pain, gastrointestinal problems, mental health, nutrition, menopause/pregnancy, and basilar invagination. Participants also emphasized that they must be informed of study results. They underscored that outcome measures incorporated into future drug trials must look beyond fractures and consider the whole patient. This work will help guide the incorporation of PROs into the next phase of the BBDC Natural History Study of OI and underscores the importance of including PROs in the study of rare diseases. Osteogenesis imperfecta (OI) is a group of rare genetic disorders related to connective tissue dysfunction. OI manifests clinically with increased fracture rates and bone fragility, as well as a wide range of non-skeletal issues which may include blue sclerae, joint laxity, impaired dentition, cardiopulmonary deficits, and hearing loss [1, 2, 3, 4, 5]. Treatment for OI has generally been focused on reducing fractures, alleviating pain, and increasing mobility. However, due to the complex nature of the disease, patients often have a much wider range of health care needs [6, 7, 8]. At present, beyond a handful of morbidity and mortality studies, little work has been done to explore the changes faced by children and adults with OI as they age. The Brittle Bone Disease Consortium (BBDC) is leading a longitudinal study of individuals with OI and now seeks to expand the assessment of patient-reported outcomes (PROs) [9, 10]. In August 2017, PRO-focused investigators of the Consortium attended the 13th International Conference on OI in Oslo, Norway. With the help of the Norwegian Osteogenesis Imperfecta Association (NFOI), stakeholder meetings with international OI organization representatives were conducted during the pre-conference seminar on the topic of “Patient Participation in OI Research.” These stakeholders explored and prioritized the health concerns individuals with OI feel are not being addressed in health care and research, with a focus on issues that impact adults with OI. This paper seeks to describe the critical gaps in disease knowledge and care that were underscored by stakeholders from across the globe, in an effort to expand the BBDC’s PRO efforts in a manner that is reflective of the myriad concerns of adults with OI. Although the focus of the meeting was on adults, the concerns of children and their parents were also included as health issues in OI occur across the age span, include a wide variety of body systems, and often differ by OI type. This short communication highlights what patient leaders from the OI community expressed should be our greatest priorities in developing PRO measures. Two approximately 1-hour discussions were held with 15 adult individuals (4 men, 11 women) with OI, primarily representing OI support groups from Europe, Asia, Australia, and the USA. Two investigators from our group (Laura Tosi and Teresa Swezey) moderated the discussions and focused on three core subjects: key health issues, gaps in knowledge, and research priorities for adults with OI. The sessions adhered to an open forum format in which participants could answer directly to a question or respond to comments made by other participants. Notes summarized key points from each participant stakeholder; topics that were repeatedly emphasized will be highlighted in this report. Participants in the group discussions identified a range of health concerns for adults with OI. Although brittle bones are a daily worry for the OI community, fracture and fracture risk received less attention, as the community seems well versed in handling fracture issues. Participants noted that, in adulthood, fractures become less frequent, but fracture non-union and complications posed additional problems with age. In fact, the topics of highest concern included breathing, hearing, and aging-related issues, rather than fractures. Previous research in the OI community has shown pulmonary disease to be highly correlated with morbidity and mortality . Reported manifestations include higher rates of asthma and pneumonia in both children and adults, as well as exercise intolerance and sleep apnea. Discussion group participants expressed anxiety about their breathing, but were often unable to articulate specific concerns, besides their general understanding of the possibility of respiratory health issues associated with severe cases of OI. Participants were also concerned with exercise and weight maintenance, which can be impacted by decreased pulmonary function . Since pulmonary function also impacts quality of life (QoL) and daily activities, the participants felt that addressing this concern is essential to providing comprehensive care for the spectrum of OI symptoms . Participants who had experienced hearing loss felt that they had become socially isolated and withdrawn as a result, which led to significant diminution of their QoL. Prior studies have suggested as many as 50% of OI patients who experience some degree of hearing loss [4, 14, 15]. This aspect of the OI experience has far reaching consequences and highlights a greater need to understand what might predispose specific individuals with OI (beyond OI type) to hearing loss. Other hearing concerns were related to career obstacles, and how an individual with OI’s height variability and unassisted mobility restrictions might be impeded in their ability to hear or reposition themselves for workplace conversations. The many challenges faced while aging were a reoccurring topic among participants, and presented different challenges across different stages of life. Participants noted that younger individuals with OI wear a “mask to pass,” and try to live as if they do not have OI. This may have far reaching impact on perceptions of QoL and mental health. Maintenance of independence and avoidance of functional decline was repeatedly discussed as a crucial drive for OI patients. The pivotal role of support groups in providing encouragement and access to resources was consistently underscored. While fracture care and prevention were not an issue, generally, concerns regarding skeletal health were paramount when the discussion turned to the effects of aging with OI, especially regarding increased risk of fracture and age-related changes to mobility and independence. 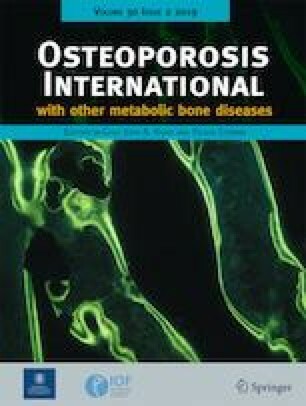 It was emphasized that postmenopausal women with OI likely have different skeletal health concerns from men as they age, and that this represents a topic urgently in need of more research. Topics of next highest concern included gastrointestinal (GI) issues, mental health, and pain, areas that have been largely undocumented or under-investigated in OI research. Participants note that GI issues affect the community widely, but are rarely talked about. In addition to the various anatomical differences that can cause GI issues, participants emphasized that use of pain medications is another cause of constipation, while other individuals face frequent diarrhea. The group emphasized that serious GI-related issues are common, can interfere with social interactions, school, and employment, and thus deserve careful attention. The topic of mental health was discussed in relation to the constant fears of falling, fracture, and the stress that recurrent injury, pain, and trips to the hospital can place on a child/family and adults. Participants suggested that individuals with OI may be subjected to significant traumatic events starting as early as infancy due to their high rate of injury and challenges with pain relief. In a previous study, adults with OI had poorer overall mental health scores as well as higher depression and anxiety scores when compared to the representative US population, as measured by the Patient-Reported Outcomes Measurement Information System® (PROMIS ®) [10, 16]. This suggests that the cumulative traumatic experiences of individuals with OI may have lasting and previously unrecognized consequences. Pain was cited as an ever present burden in daily life. Since opioids and chronic pain medication use can impair GI function, individuals with OI are often conflicted between living with pain or accepting constipation and diarrhea . Living with pain was also described as impacting sleep and mental health, demonstrating the overlap of many of the issues discussed. Participants also described confusion or dismissiveness among healthcare providers in addressing incidents of “microfracture,” commonly described as bone injuries that are not visible on X-ray but cause pain and disability. Discussion group participants expressed concern that doctors overlook and undertreat these injuries as they cannot be confirmed by X-ray. During the discussions, participants suggested that some care providers are not always in tune with the realities of the OI patient experience, or might not address all the concerns of their patient. Perceptions of access to quality of care varied widely among the meeting attendees. However, it was the consensus of the participants that most primary care doctors lack comprehensive knowledge about OI at a system level; physicians regularly think of OI as simply a “brittle bone” disorder and frequently do not appreciate the complex effects of collagen mutations throughout the body. Endocrine-related issues were at the forefront of conversations related to gaps in knowledge about adults with OI. For example, many clinical providers advise individuals with OI to reduce their bodyweight for both heart-health and diabetes prevention, but provide little advice related to exercise and diet. Often, GI or orthopedic ailments directly impede a patient’s ability to eat correctly and stay active. Peri- and postmenopausal women with OI feel that they receive inadequate guidance regarding the maintenance of their bone density; similarly, pregnant women with OI lack clarity on the effects of breastfeeding, as well as pregnancy itself, on their bone density. Great concern was expressed about the risk of basilar invagination. This rare, serious condition presents in individuals with OI due to connective tissue laxity near the base of the skull and can result in life-threatening complications [8, 18, 19, 20]. The literature regarding this condition in OI is sparse, and both patients and providers are largely unaware of occurrence rates, diagnostic criteria, and/or risk factors. Participants discussed this topic largely as a fear of the unknown, and urged that steps be taken to address this knowledge gap. Research was of particular interest to participants, as many had participated in studies or completed questionnaires in the past. Many participants expressed frustration that they had been involved in studies for which they never saw the results. They underscored that researchers must strive to inform participants of study findings. While participants acknowledged that there may be challenges to presenting results and conclusions in an accessible manner, it is crucial for researchers to seek out forums to present their results. The many newsletters offered by the international OI patient support groups offer an easy platform both to inform the OI community of new findings and prevent misunderstanding of results. Topics of high research priority to the attendees, beyond what has already been discussed, included the following: transition of care, long-term effects of bisphosphonate use, and determinants of QoL. Although not stated specifically as a research concern, many respondents mentioned how their QoL was impacted by their disorder. The group thought that more research should be conducted in older adults with OI, and expressed concern that the long-term effects of OI have not been adequately explored. As the need to compare and contrast results of new therapies continues to evolve, improving measures for assessing drug impact will be essential. The group also brought up the potential long-term effects of bisphosphonate use, which has not been thoroughly studied. Since this class of drugs has been primarily prescribed for elderly patients with osteoporosis, individuals who received bisphosphonate therapy at a young age worry about the long-term consequences of their treatment. Our team was grateful for the extensive insights provided by discussion group participants. It is our goal to continue to engage this patient community to identify research priorities and to oversee the conduct of studies and dissemination and implementation of findings in practice and policy. At the same time, we will strive to reach out to other individuals with OI who can provide diverse perspectives based on their gender, age, disease type, culture and racial perspective, access to resources, and living conditions. The recommendations from our stakeholder group are limited to those 15 adult patients with OI who were motivated and had the resources and the capability to attend the 13th International Conference on OI. However, these individuals have been living with OI for many years and are well connected with the broader OI community and therefore serve as excellent representatives. Our next step will be to work with the broader membership of the BBDC to incorporate additional PRO measures into the existing longitudinal study of OI. The longitudinal study offers the unique opportunity to incorporate and validate existing and novel PRO instruments for under-appreciated/under-studied aspects of OI into the existing research framework. Similarly, the longitudinal study will allow us to explore how PRO measures compare with traditional clinical measures such as audiometry, spirometry, mobility functional tests, and legacy questionnaires in eliciting and quantifying health concerns. This will be essential to meeting our long-term goal of creating web-based tools which assist the OI community in understanding changes in their health status and articulating them to caregivers. It is our firm belief that the improvement of OI care requires an expanded research agenda that incorporates the health concerns articulated by the OI community and includes patient-reported outcomes in measuring the success of diagnostic and treatment strategies. The authors would like to thank Ingunn Westerheim and Inger-Margrethe Stavdal Paulsen who helped us organize discussion groups as part of the preconference “Patient Participation in OI Research” and Karen Braitmeyer for her meticulous note-taking. We also would like to thank the participants in the discussion groups and the many stakeholders who are invested in OI. 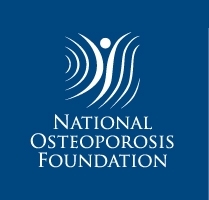 Funding for Teresa Swezey’s conference travel to attend the 13th International Conference on Osteogenesis Imperfecta in Oslo, Sweden, was provided by the Osteogenesis Imperfecta Foundation, Gaithersburg, MD, USA. No other funds were acquired. The stakeholder meeting plan was reviewed by the Children’s National Health System IRB and this research was determined to be exempt from IRB review. For this type of study, formal consent is not required. Tracy S. Hart serves as the CEO of the Osteogenesis Imperfeta Foundation. We do not believe that this represents a conflict of interest. As noted in her conflict of interest disclosure, Teresa Swezey received travel funds to attend the OI conference. Bryce B. Reeve, Marianne K. Floor, Christina M. Dollar, Austin P. Gillies, and Laura L. Tosi declare that they have no disclosures. Open Access This article is distributed under the terms of the Creative Commons Attribution-NonCommercial 4.0 International License (http://creativecommons.org/licenses/by-nc/4.0/), which permits any noncommercial use, distribution, and reproduction in any medium, provided you give appropriate credit to the original author(s) and the source, provide a link to the Creative Commons license, and indicate if changes were made.